Councilor Signe I. Lindell was elected to the Governing Body in 2014. She is serving her second four-year term representing District 1. She also serves as Mayor Pro Tempore. Councilor Lindell is a member of the Finance Committee and the Santa Fe Metropolitan Planning Organization Policy Board. 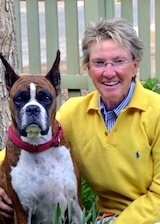 Councilor Lindell was born and raised on a dairy farm in Great Valley, New York but has been in Santa Fe since 1984. While she was not born in Santa Fe she says she got here as soon as she could! This is Councilor Lindell's second term on the City Council, but she is not new to City Hall. She got started volunteering with the City for over 10 years on the Ethics and Rules Committee and the Planning Commission. Councilor Lindell was the first person in her family to attend college and earned her bachelor’s degree from Salem College in West Virgina. After that she went on to achieve her master’s degree and Doctorate of Education from West Virginia University. Councilor Lindell has worked in a variety of industries before retiring. She was a professor at Kent State University, and owner of a local small business: the “Signs Now” sign shop in Albuquerque. Councilor Lindell also spent five years working for Homewise Inc., a nonprofit affordable housing organization in Santa Fe which has helped her develop a deep understanding of the community. If she wasn't doing public service, she'd be doing stand up comedy. Councilor Lindell has been with her partner Maria Sanchez for 23 years.